“This was a great book!!!! I mean I just loved it! It was a story of love and hope and I think it was really cool that she had the courage to go out, on her own, and travel far and wide just to get to her brother. “In 1864, life for a half-Aboriginal, half-Chinese orphan would have been tough. In this time of racism, immigration, hardship and the Gold Rush in Victoria, times were hard and expectations high. Wang gives us a glimpse into what this girl’s life might have been like. 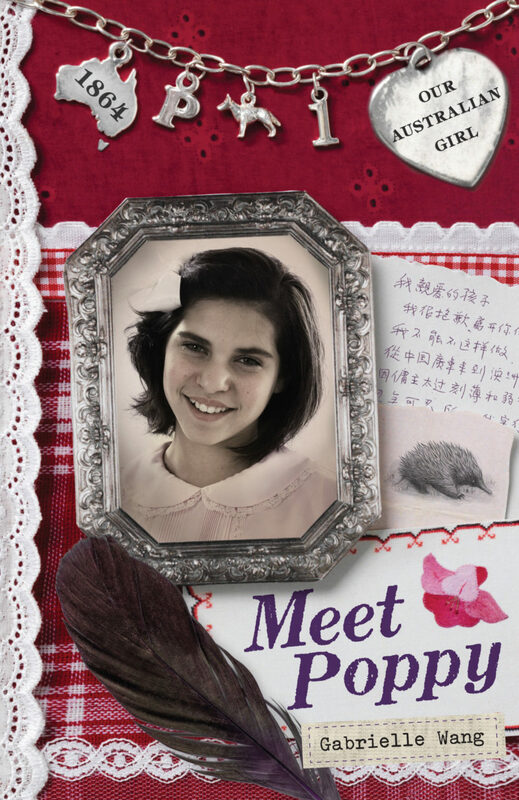 MEET POPPY is the first in a series of four novels about an 11 year old Aboriginal girl. Poppy (Kalinya) and her brother Gus (Moyhu) live on Bird Creek Mission near Echuca in the colony of Victoria. The year is 1864. Poppy’s Aboriginal mother died when she was a baby, and her Chinese father disappeared before she was born. When Gus runs away to look for gold, Poppy decides to follow. A few hours later she was awakened by a terrifying howl. Poppy sat bolt upright. Where was she? She felt around her. Oh, my nest. Her eyes adjusted to the dark. Then she gasped. In the moonlight she saw a large dog trotting towards the base of her tree. She sat rigid, not daring to breathe as it came closer and closer. If it was a dingo, Poppy wouldn’t have been worried. Gus said dingos were more scared of people. But this looked like a wild dog, a very large wild dog. The dog lifted his head and sniffed the air. He stood on his hind legs, resting his front paws on the trunk. Poppy’s fingers closed around the hilt of her knife. ‘Good dog. Good boy. I’m only staying for one night.’ She spoke in a soft calm voice. A low growl came from the dog’s throat and he laid back his ears. ‘Go on home, now,’ she urged. ‘I promise I’ll be gone by the morning.’ Poppy’s voice was shaking so she began to hum ‘The Bellbird Song’. The notes were soft and tentative at first but then she sang the words. To her surprise, the wild dog dropped to the ground and trotted away. Poppy listened all night for the dog to return. In the morning, she looked over the side of her nest. Tracks led around the tree, down to the water’s edge and back again. She looked up and down the river. Only then did she spot the dog, on the other bank. Surely he couldn’t have swum that far! Now was her chance to get away. She quickly climbed down then stood for a moment watching, the safety of the water between them. The dog was beautiful, with pale grey fur and a proud and noble head. He looked more like a wolf, but how strangely he was acting. He was standing by a partially submerged log, not moving, just staring into the water as though admiring his own reflection. Then suddenly, he plunged his whole head under the surface. When he came up, he was holding a large flapping fish in his mouth! Poppy couldn’t believe it. She watched as the dog placed his paw on the fish and began tearing at the flesh, snapping through the bones. After he had eaten every scrap – tail, head and all- he lay down, panting gently. The dog looked at her but then he pricked up his ears and stared upstream. It took Poppy a few moments before she heard it too – the soft chug chug chugof another paddlesteamer. Quickly she ran behind the big tree as the boat came into view. It travelled towards her and she saw people standing on the deck. As it passed she heard snippets of their conversation about the goldfields and meeting up with relatives and friends. There was also mention of the gold at Beechworth and Rutherglen. Then, someone pointed and shouted. No! Don’t shoot him! Poppy wanted to yell. But she was too afraid they might shoot her for sport instead. She looked at the dog, who remained in the one spot watching the boat. Poppy shut her eyes. Then she heard a gunshot ring out. Take a look at the official website for Our Australian Girl. There is information and competitions, puzzles and a quiz. During the 1850’s and 60’s, more than a third of the world’s gold was found in Victoria. This brought many people from all over the world and began the period in Australian history known as the Gold Rush. The Welcome Stranger was the name given to the largest alluvial gold nugget found in the world. On 5th February 1869 in Moliagul, Victoria, a man called John Deason was digging around a tree when he struck something solid at the base. Confound it, I’ve broken my pick, he cursed. When he looked down he saw, sticking up out of the ground like a boulder on a hill, a huge nugget of gold. It measured 61 cm by 31 cm. Almost too heavy to lift, Deason and his friend Richard Oates took it by dray to Deason’s house. It weighed 72 kg. Later they took it to Dunolly to the London Chartered Bank where it was cut down for smelting. It took Archie Walls, the local blacksmith, five hours to reduce the huge lump of pure gold into maneagable pieces. It’s value in 1869 was 9210 pounds or $3,000,000! Among the different nationalities, around 40,000 Chinese men came to the Victorian goldfields and one of these was my great grandfather, Jimmy Ah Kew Chen. He came to Australia from Guangzhou when he was 18 years old and settled in Wahgunyah on the Murray River. My family doesn’t know what he did when he first arrived but later on he cleared land around Wahgunyah for the wineries which still exist today. My great grandfather didn’t get married until he was in his 50’s. My great grandmother had never met Jimmy Ah Kew before. The marriage was arranged by a matchmaker as was the custom in China in those days. You will meet Jimmy and his bride later in the third Poppy book called Poppy and the Thief. For more information about the Chinese and why they came to Australia you can go to the Chinese Museum’s website. Or if you are in Melbourne, visit the museum in person. It also provides school tours and workshops for children. While the immigrant population grew, the Indigenous population diminished rapidly. 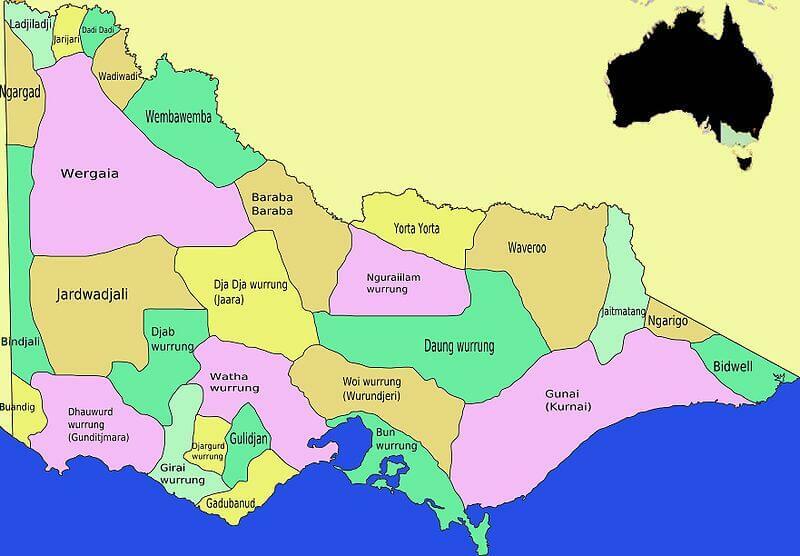 Before 1834, around 100,000 Aboriginal people lived in Victoria. By 1860, with the influx of the white settlers and the discovery of gold, this number had fallen to less than 2000. 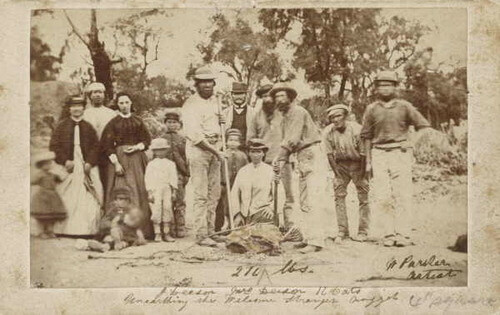 Since the invasion of Koorie lands by European settlers in the 1830s, successive Colonial and State Governments have sought to civilise and control Aboriginal people of south-eastern Australia.As early colonists took over large tracts of land for farming, local Aboriginal people were pushed to the edge of survival as the natural resources they relied upon in order to live were depleted and fouled by livestock and agriculture. The fight over land led to battles, wars and massacres where Koorie people often came off second best when confronted with the more effective weaponry of the Europeans. However, the British Government and colonial humanitarians were concerned about the fate of Aboriginal people as settlement progressed. After the failure of an early Protectorate system, the Victorian Colonial Government decided to allocate reserves of land variously known as stations, missions or reserves on which Aboriginal people could live. While the Government ran some Aboriginal stations, others were in the control of missionaries such as those of the Anglican or Moravian Churches. Regardless of their secular or religious management, life on Aboriginal stations revolved around efforts to control and civilise Aboriginal people. In Victoria the Government supported the establishment of thirty-four Aboriginal missions and reserves, while over two hundred existed across Australia. Some of these sites lasted many years, while others closed soon after their formation. The Victorian Government strictly controlled life on the missions and reserves through an Aborigines Protection Board based in Melbourne. Board members were kept informed of events throughout the colony by honorary correspondents and regional committees. Mission Voices retrieved 30th January 2011. This is a great website for information about the Indigenous population at the time of white settlement. The Koorie Heritage Trust You can visit the Koorie Heritage Trust in Melbourne. They have a museum, and a great gift shop. They also conduct school tours. Map of Victoria created in 1862 While researching, I found this very interesting map. I loved searching for the places I know to see whether they still existed today or if their names had changed.